Setup a new hyperV core machine on a HP Proliant 380 8Gen. The Network on the VM’s ver very slow. If I copied a file to the HyperV core machine the speed was good. When copying the file to a VM running on that same core machine the speed was very bad. Below 10 MB/s. This was unaccpetable so I started to look for a solution. After a day of google and digging arround. I have found the following solution to work. I have done this on multiple Hyper Core machines and every one of them got an increase in speed. Now copy something to the new VM.. Notice the speed increase!. 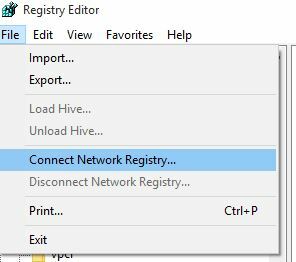 If you have a legacy adpater installed on the VM. 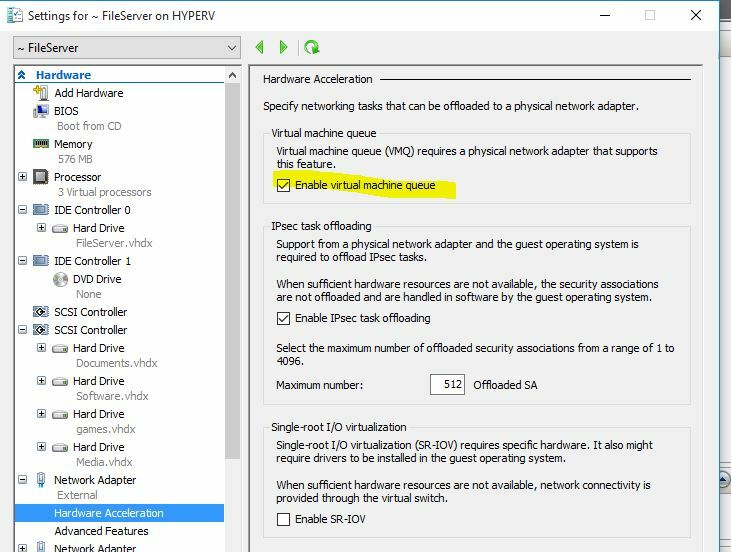 Make sure you change it if possible for a non Legacy adapter in the VM settings. The non legacy adapter has a advanced feature called Virtual Machine Queing. Make sure this is On. The speed should now increase to the max.